This past week was a week of firsts for me. First of all it was the MOST intense week for me professionally and I want to spend my blog this week reflecting on this past week. But first I had to knock out a reflection on how my experience & social networks at the 2015 Michigan Association for Computer Users in Learning has manifested itself. I had never gone to MACUL before and so this post is just one in a series of reflective posts about it. The conference itself had over 5000 educators across the state of MI as well as highly engaging, supportive, and innovative presenters on technology and innovations in learning. I went looking through the internet to see if I could find an image that connects to how I feel about innovation, design & elevating student & teacher leadership in school systems. The graphic below does a decent job. So let’s start with the three presenters whose sessions contained the most impact for me at MACUL this year. First, the keynote speaker of George Couros. Having completely embarrassed myself on an elevator to start my introduction to George’s work, I was lucky that he had a short-term memory regarding embarrassing moments and addressed much of the elements of innovative school culture. Karen Bosch’s sketchnote of his session does it more justice than my words could, so I wanted to make sure I included her work above. His keynote really embraced the elements of my school’s program that I wish more traditional districts would adopt and I’m constantly talking about. For examples, being isolated as a choice of educators & sharing be the default. We have eliminated this as a possible choice for educators by creating shared spaces and a makerspace type of learning environment in my school program. Our curriculum is also shared & developed collaboratively and we have a teacher-led shared leadership model. I left his keynote feeling inspired that although I may sometimes get overwhelmed by my to-do list in my job, my program is on the right track! Second, my friend and also colleague as we are both members of the Michigan Educator Voices fellowship & MI Network – Michigan Teacher of the Year – Melody Arabo. Melody’s presentation and conversation centered around becoming a teacherpreneur. On the graphic this falls under the cycle of Telling Your Story & Increase Community Connectivity. We should all explore our passions as we can only be innovative in schools if we embrace and reimagine our roles as educators. I completely agreed with her that this movement has to come from the teachers. It is part of why my sister and I pitched the idea of a Michigan Teacher Leadership Summit which won the ShiftMich Idea Slam after MACUL. I am so excited to continue to work with Melody – she is now an accomplished author, which I am so jealous of! 🙂 She also gave great connections to the work other MI educators are doing and involved the audience in sharing their passions and thoughts around this topic. But in all seriousness, these guys also spoke about the need to connect and build relationships using technology. That was a message that came across loud and clear from all three presenters I am sharing. We have to shift and share because that is what the 21st century will demand from us as well as our students. Their messages that we can use technology to help show students that they matter and that failure is just another step are again key tenets of my school. I loved the energy and network of educators at MACUL that embrace a culture of collaboration and innovation. I came back to work this week ever-committed to the ideas of our program, teacher & technology leadership, and continuing our work. Thanks to these presenters – your words mattered. So what ideas do you have from the wisdom of these speakers? 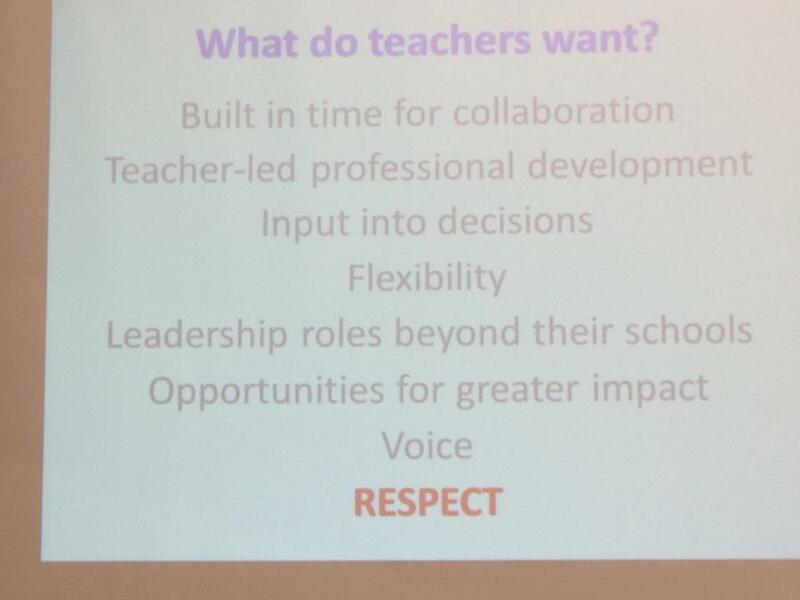 As educators we are constantly prompted and supported by others in education circles. We know all the buzzwords, we support each other’s learning, we attend conferences and events that center around our profession. Something crucial though happened last week that sparked this latest post. Regardless of whether or not you disagree with his politics, I strongly agreed with Gov. Snyder’s decision to hold a joint Education & Economic Summit in MI. Too often educators are in our own heads. We use the relevant buzzwords, we embark on hours upon hours of endless professional development, but there is a whole network outside of educators that need to hear from us. Holding a joint summit where business professionals were side-by-side with educators is more than just symbolic. It shows both fields that they can and should learn from each other. Educators have to do more to explain to non-educator audiences the work that we are doing & the expertise we have to offer. 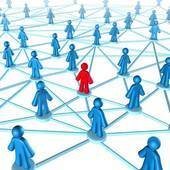 We have to expand our professional learning networks to touch more networks that contain non-educators. We need to drive the business of education or it will be driving us. As much as I disagree with some facets of the industry of education, if we pretend that it doesn’t exist, if we circle the wagons and only continue to learn and grow from our educator-centric PLNs we are missing a tremendous opportunity. So my message to educators is simple – get out there and spread the word about what we do in order to elevate our profession. If we do not deliver our message, it will be delivered for us and to us. What have you done lately to expand your network outside of your profession?